Drip marketing is an extremely effective marketing technique that can help you generate quality leads and convert them into customers, but it can also be very time consuming. Identify the step in your sales process where you need the most help. Perhaps you don’t follow up with new contacts quickly enough, or maybe welcoming a new customer falls through the cracks because you just closed the sale. Whatever they might be, pinpoint the weaknesses and strengthen them with a drip marketing campaign. Identify the step in your after-sale follow-up where you need the most help. Set up a drip marketing campaign with regular email and print communications to stay in touch with your customers. Define your target audience. This is generally not your entire database of contacts, but people who have reached a specific phase in the sales process or customer life cycle. Select the appropriate call to action. Do you want to invite this prospect to download a free e-book, or come into your office for a free consultation? Do you want to offer a free gift if the customer fills out your evaluation survey or provides you with a referral? Choose the activity that is most likely to result in action, not the one that you most wish they would do. Be realistic. Craft your messages. Use language that has worked for past sales and repeat the techniques that have been most effective in generating leads and referrals from satisfied customers. Set up your campaign. This is the most challenging part. Identify what actions need to be taken depending on various responses. When do you trigger a phone call? When do you follow up with the next email or printed message? Launch the campaign. Pulling the trigger at this point is actually fairly easy because the bulk of the hard work has been done. Analyze the results. Tracking and measuring is important for refining future campaigns. Take note of which messages got the best response and which ones were not so effective. 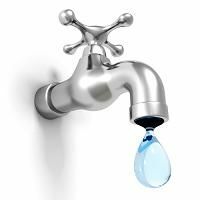 Are you administering your own drip marketing campaign, or does your company take care of it for you? We encourage corporations to protect their brand by setting up and administering a company-wide drip marketing campaign personalized for each salesperson. Tell us how your company is doing it. Interested in a lead generation and email drip system.